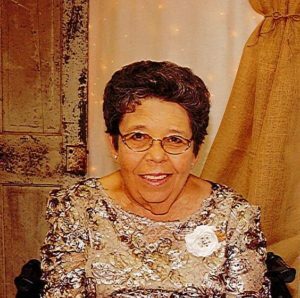 Pamela Jo Chamrad Broll, Age 72 of Kenedy, TX passed away Saturday, November 17, 2018 in Schertz, TX. Pamela Jo was born June 6, 1946 to Daniel J. Chamrad, Sr. & LaVerle Rodgers Chamrad in Victoria, TX. She graduated from Yorktown High School where she met the love of her life Robert Broll. They married at Holy Cross Catholic Church October 9, 1965 and made their home in Kenedy, TX. Together they had four boys Mark, Bo, Chris, Jeff and ran Broll Lumber Company for many years. Pamela Jo loved cooking, loved her family and especially loved her grandchildren. Pamela is preceded in death by her parents, Daniel J. Chamrad, Sr. and Rue Laverle Rodgers Chamrad and her grandparents. Pamela is survived by her loving husband, Robert Broll of Kenedy, TX; four sons, Mark Broll of Schertz, TX, Bo Broll and wife Brooke of San Antonio, TX, Chris Broll and wife Keri of Round Rock, TX, Jeff Broll of Texarkana, TX; grandchildren, Hannah, Logan, Jude, Wren, Emma Lynn, Reid, River and Savannah; brother, Danny Chamrad of Victoria, TX, Brothers and Sisters in Laws Bernice Zaiontz, Leonard Broll, Daniel and Charlotte Broll, all of Yorktown, TX. Aunt Nita Faye Kisiah of St. Hedwig, TX; cousins, Michael Kisiah of Flour Bluff, Melinda Smith of St. Hedwig, TX, Melissa Smith of La Vernia, TX; niece Beth Phillips of Buda, TX; nephews, Nicholas Broll, Danny Broll, Dustin Broll, Travis Broll all of Yorktown, TX, Trey Chamrad of New Bruanfels, TX. A Holy Rosary will be recited Tuesday, November 20, 2018 at 7PM in the Eckols Funeral Home Chapel. Funeral Mass will be celebrated Wednesday, November 21, 2018 at 10AM at Our Lady Queen of Peace Catholic Church with the Rev. Norbert Hermann Officiating. Interment will follow in the Holy Cross Catholic Cemetery in Yorktown, TX. Serving as Pallbearers will be Nicholas Broll, Danny Broll, Dustin Broll, Travis Broll, Logan Broll, Jude Broll, Wren Broll, Reid Broll and Mitch Phillips. Honorary Pallbearer will be Ryan Phillips.